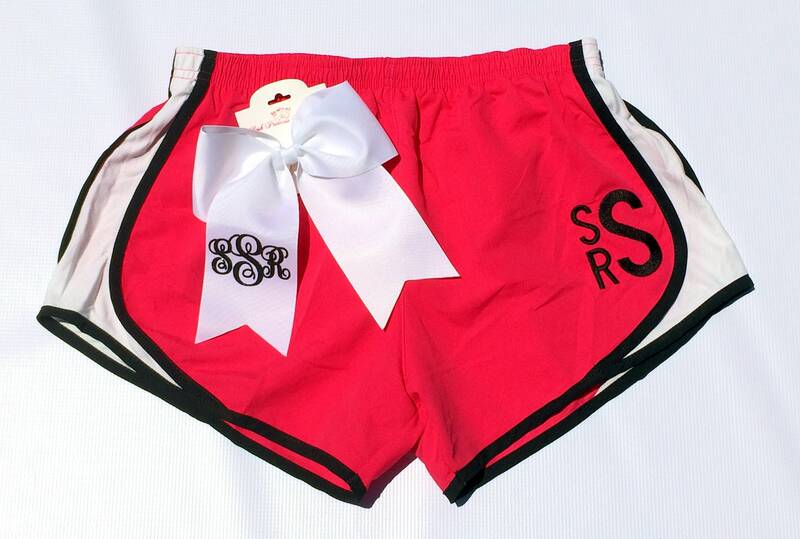 Monogrammed running shorts for girls, cheerleaders, or moms - these preppy personalized running shorts are a must have for girls and women of all ages! 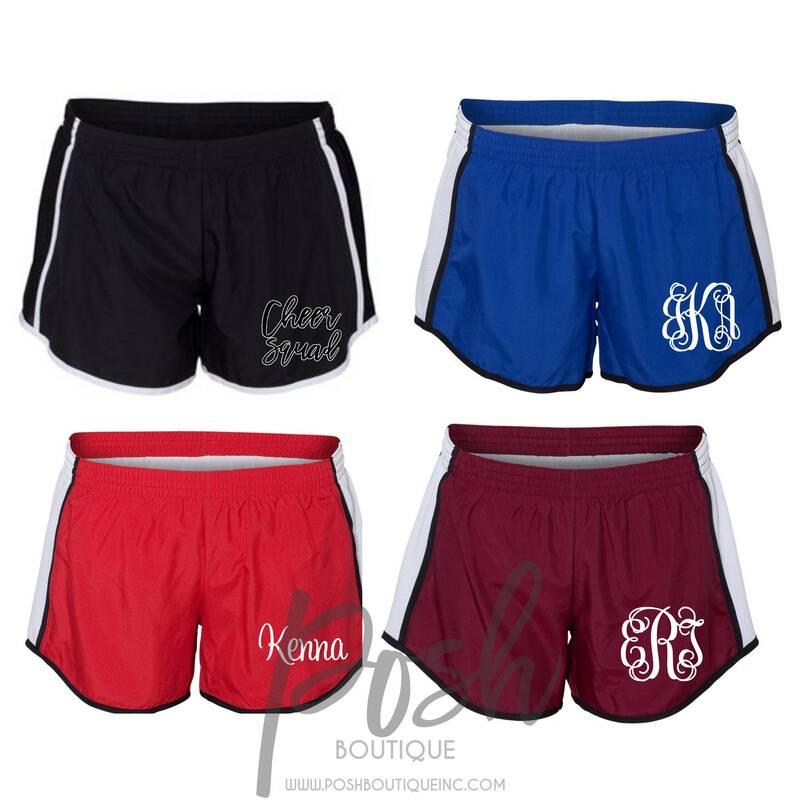 Whether you're running errands, wearing to cheer or dance practice, or running in a marathon, these preppy athletic shorts are super cute, and comfy to wear! 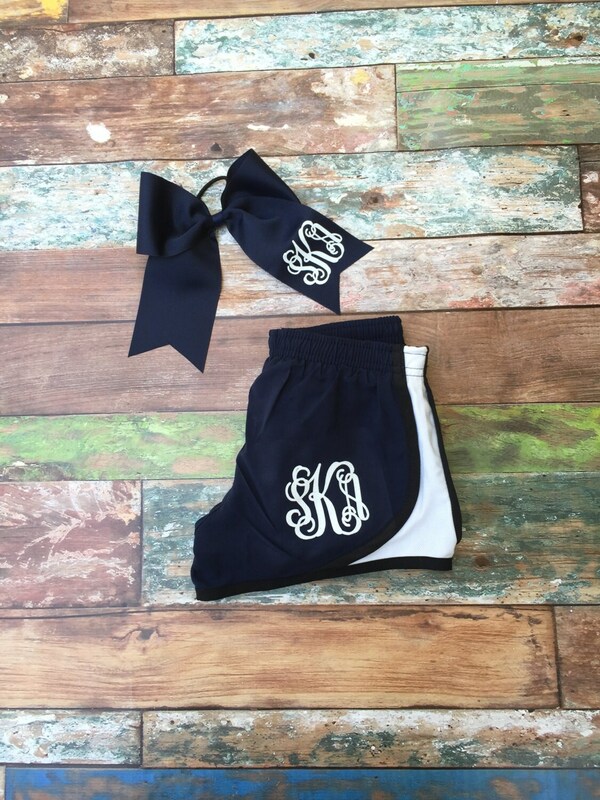 Buy a pair for yourself, or consider these as a gift for your bridesmaids or cheer team - these monogram athletic shorts are the perfect monogrammed gift for any occasion! 1. 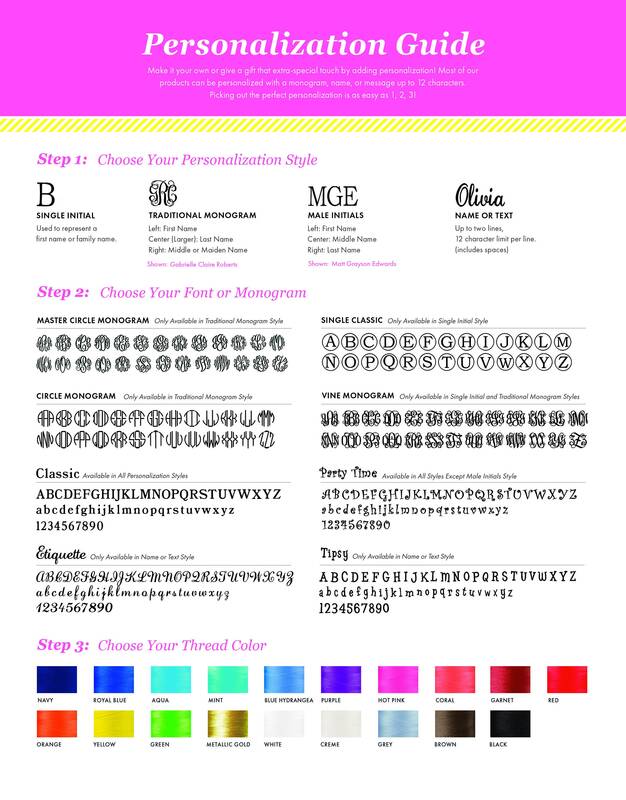 Your monogram - first, LAST, middle initial. Please see our font and thread color chart within our items listing photos for all available options. 3. Size, specify youth or women size from drop down menu above. 4. 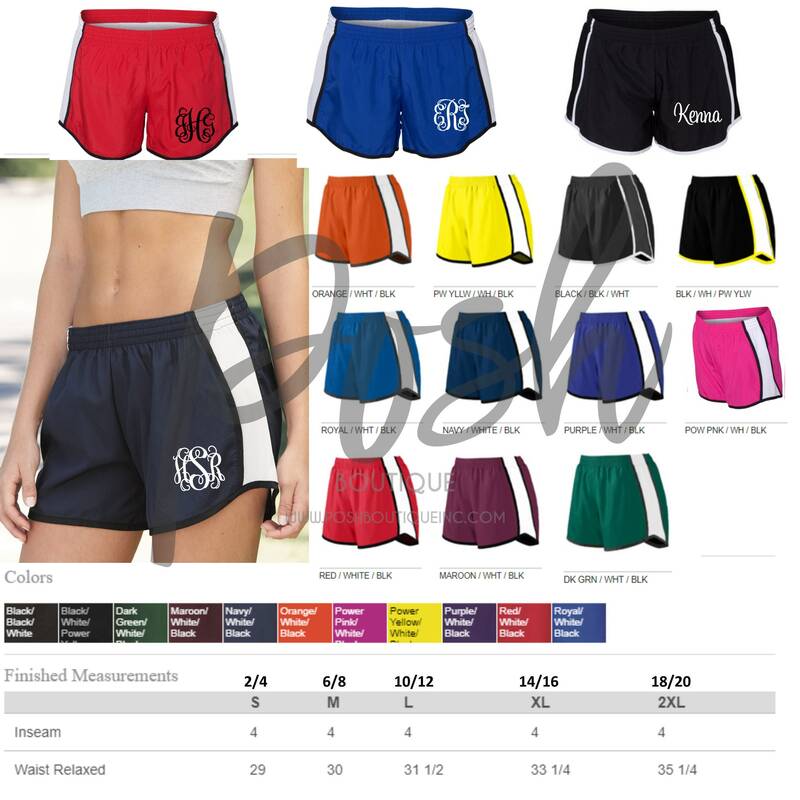 Shorts Style/Color - options shown in color chart found in the listing's photos above. 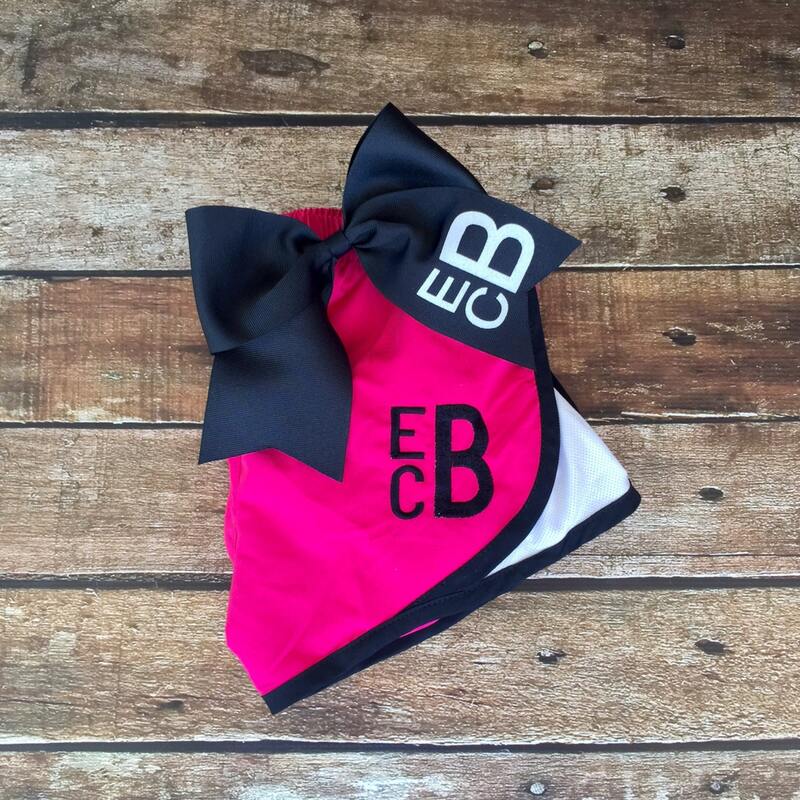 Due to the personalization involved in creating this item, no returns or exchanges are accepted - Please double check you monogram you leave in notes to seller. 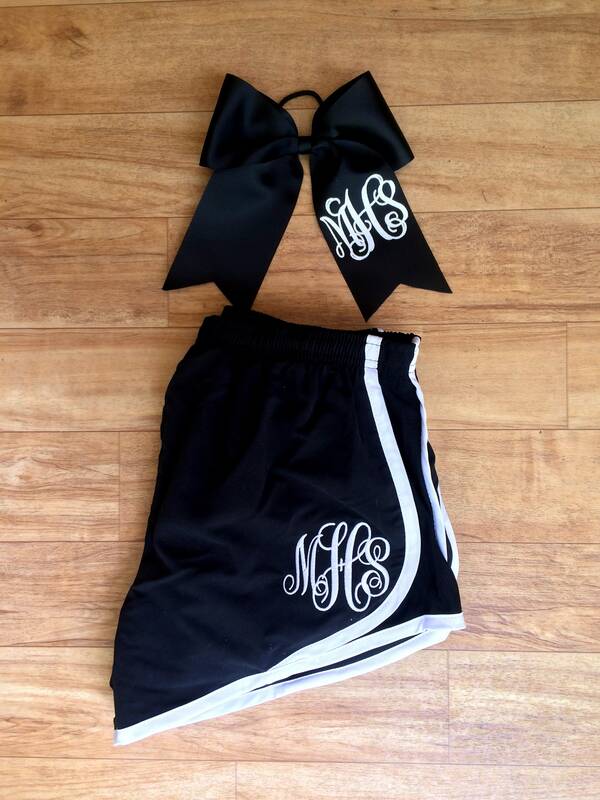 Very nice monogramed set. My daughter loves these shorts.